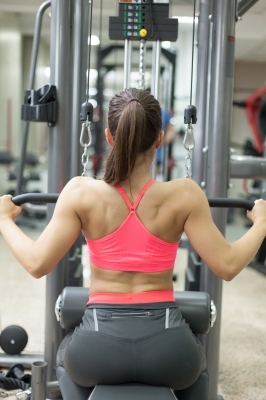 Not working out for long enough can limit your strength training progress or stall it altogether, but working out too frequently or for too long can also sabotage your efforts. Strength trainers need to find a balance between pursuing their goals and avoiding excessive workouts that actually slow muscle development and have negative health consequences. I didn’t find any good studies actually testing the effects of different workout durations, but I did find plenty of expert recommendations. Although these recommendations varied, the majority said that strength training workouts should be around 30-60 minutes, unless you’re trying to develop the sort of extreme hypertrophy you see at bodybuilding competitions. Most people won’t make much progress with fewer than 30 minutes, and at more than 60 minutes, the risk of overtraining syndrome increases significantly. Ideal workout times will vary based on your goals, training style, and personal physiology. If you’re taking shorter rests and burning through your workout quickly, you can do a high-intensity workout pretty fast. On the other hand, if you’re lifting very heavy weights with longer rests in between sets (a good strategy for strength building), then your workouts will take longer. Of course, they’ll also take longer if you spend a lot of time socializing at the gym. Slight overtraining (defined as overreaching syndrome) can trigger symptoms that last for days or even weeks, while more serious overtraining can have negative psychological and physical effects that last for months. The University of Colorado Hospital recommends doing no more than 20 sets per workout to avoid overtraining (this would cap workouts at approximately 40-60 minutes, depending on how fast you do your sets and how long you rest in between sets). Some advanced strength trainers do more, but for most people, 20 should be enough, especially for those who are doing high-intensity workouts (lifting very heavy weights) or split routines (working different muscle groups on different days) so they can train 4-6 times a week. There is a consensus among the experts that you shouldn’t do strength training exercises targeting the same muscles every day. You can either do a full-body workout 2-3 days per week or a split routine where you target different muscle groups on alternating days. Research suggests that both strategies are equally effective for building muscle strength and functional fitness, assuming that you do a similar number of sets per week overall (Crewther et al., 2016; Heke, 2011). De Medeiros, J. (n.d.). 12 Signs You’re Overtraining. Men’s Fitness. Heke, T. O. (2011). The effect of two-equal volume training protocols upon strength, body composition and salivary hormones in strength trained males. (Doctoral dissertation, Auckland University of Technology). Kinucan, P., & Kravitz, L. (2007). Overtraining: Undermining Success? ACSM’s Health & Fitness Journal, 11(4), 8-12. Mike, J., PHD(C), CSCS,*D, NSCA-CPT,*D, USAW. (n.d.). Overtraining and Recovery [PDF]. National Strength and Conditioning Association. University of Colorado Hospital, Denver. (2004). CU Sports Medicine: Strength Training Tips [PDF]. UCDenver.edu. Wescott, W.L. 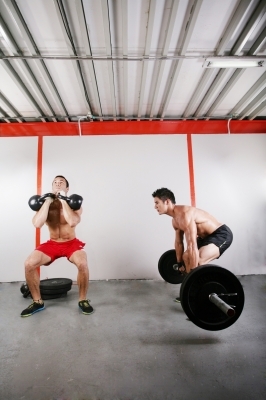 How Often Should Clients Perform Strength Training? [PDF] ACSM’s Certified News 2010, 20(2), 10-11.